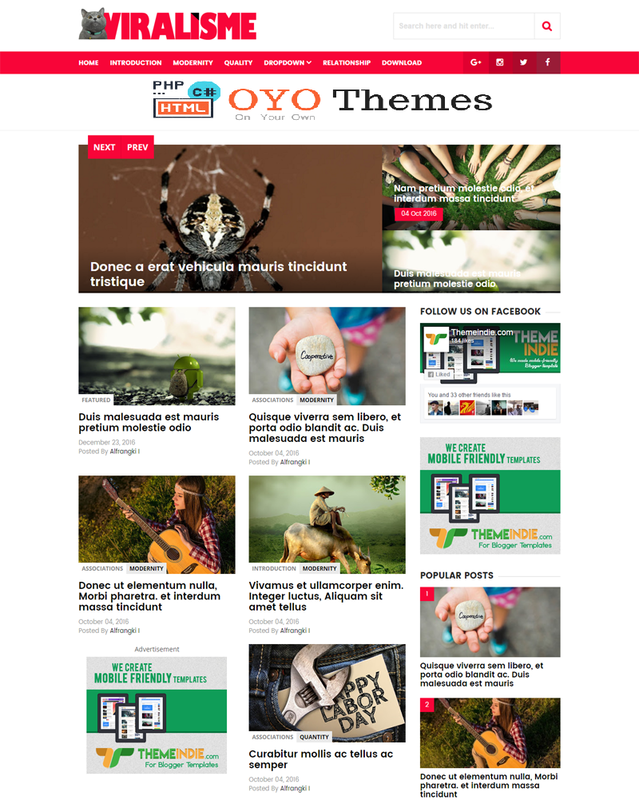 Viralisme Customize Elegant Optimized Blogger Template is a Personal and Magazine blogging theme. It is actually clean and an elegant blogger theme and possesses great customization for creating blog of viral or popular news in internet. It is a responsive theme optimized and mobile friendly too. This blogger theme is suitable for a wide range of blog for example personal blog, viral news, travel etc. It is displayed perfectly and clearly on any kind of devices. This theme has the following features: Responsive, SEO friendly, mobile friendly, Minimal, social sharing, Magazines, browser compatibility, clean layout, simple design, Ads Friendly, drop down menu and much more.